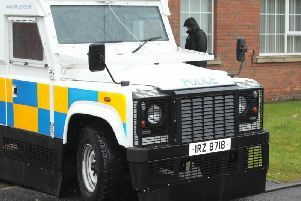 ‘Mindless vandalism’ was how police described an attack on a car in Portadown - which was completely destroyed by a corrosive substance. Posting a photo of the extensive damage on the PSNI Craigavon Facebook page, police there should be no hiding place for the perpetrator. Police said: “This is someone’s car. It was parked across the road from Moy Park in Portadown on 26/02/2018 between 845pm and 1140pm when a considerable amount of corrosive substance was poured over it, causing extensive damage to every panel of the vehicle. “Whether this was a targeted attack, mindless vandalism, or mistaken identity doesn’t really matter. “What matters is that someone worked to pay for a car which is now massively damaged. People like that shouldn’t be given a hiding place in our community.